What an honor; once again, ENGEO is the best in California and the only engineering firm on the entire list. This is the most prestigious of such distinctions in the US and involves the most rigorous review and audit process. The 7th Annual Great Place to Work® Rankings: 2010 Best Small & Medium Workplaces Presented by Entrepreneur® was announced today and ENGEO was ranked number 10 on the list. 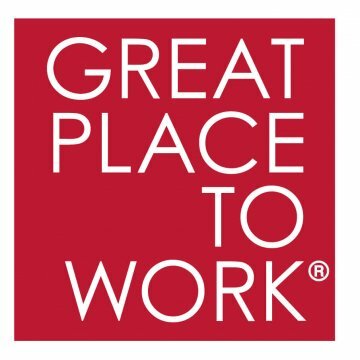 Great Place to Work® Institute, based in San Francisco, produces the Best Small & Medium Workplaces list each year. Because of their servant leadership model, everyone is comfortable engaging in dialogue and in sharing ideas that further ENGEO’s success. There is an unusually strong belief that work is not work, but instead is a passion that comes from enjoyment in collaboration and in taking pride in every task. Further, the enjoyment for one another’s company extends beyond the office to regular social events that are planned by a Fun Committee. For these reasons, and many others, ENGEO has made Best Place to Work lists both regionally and nationally, many years running. ENGEO was selected as a winner by participating in the Great Place to Work® Institute’s selection process which includes a survey of ENGEO’s employees based on the Trust Index© and a completed a questionnaire by ENGEO about programs and company practices. The Great Place to Work® Institute evaluated the company based on five areas: credibility, respect, fairness, pride and camaraderie. The Institute’s unique methodology measures the level of trust that exists between employees and management, the pride employees express about the company, and the camaraderie employees share. Selection as a winner of the list benefits the organization in many ways, including better financial performance, less employee turnover, higher levels of customer satisfaction and loyalty, greater innovative thinking and creativity, higher productivity, and enhanced public perception.